Expertly crafted, the Alette 4 Arm Chandelier combines traditional techniques with a modern feel. Fluted glass globes drop from each chandelier base, creating an elegant statement suited to both contemporary and period homes. 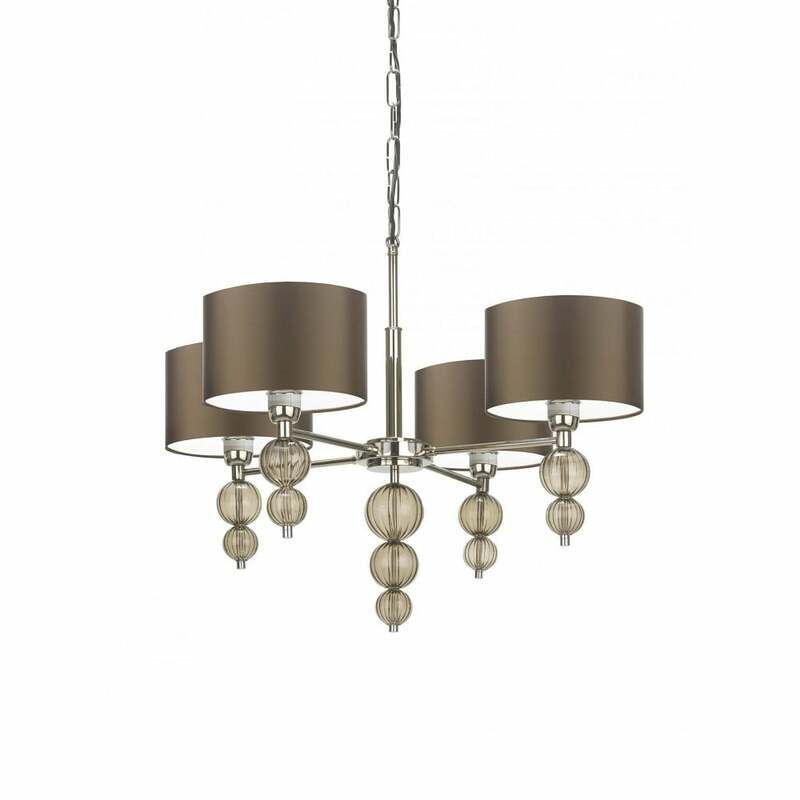 The luxurious shades are complemented by antique brass or polished nickel arms and globes are available in three colourways. Entirely bespoke, you can create the perfect chandelier for you interior scheme. Make an enquiry for more information. Priced for 8" Flat Drum shade in silk with white PVC lining. Please contact us for other options.